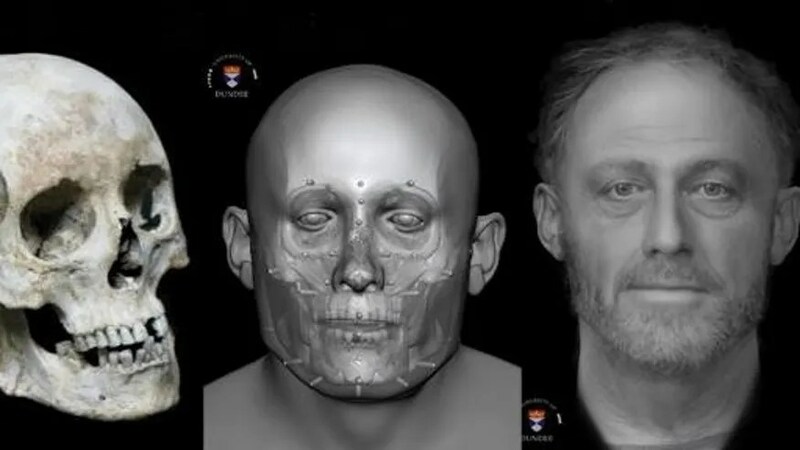 Gizmodo calls his face “haunting,” but to UK researchers, seeing the mug of the man known as Context 958 is nothing short of astounding. His visage was revealed at the two-week-long Cambridge Science Festival this month, as were details about who he was: in short, a 13th-century working-class man who died in middle age, had apparently lived a life of indigence, and whose face was reconstructed by scientists based on his teeth and bones, per a Cambridge press release. Context 958’s skeleton, analyzed as part of the university’s “After the Plague” project, was discovered along with about 400 others between 2010 and 2012 in a medieval-era graveyard underneath one of the college’s schools. The bodies, which date from the 1200s to the 1400s, came from the Hospital of St. John the Evangelist, which used to exist across from the cemetery. Context 958, who was found buried face-down in his burial spot, is believed to have been a few ticks older than 40 and boasted a “robust skeleton with a lot of wear and tear,” which means he likely had a physically challenging job, says Cambridge professor John Robb. However, unlike others who lived in poverty, Context 958 appears to have chowed down on meat and fish, suggesting that he worked in a specialized niche that gave him access to this ample food supply. What makes the discovery of his body and others in the same demographic notable, Robb says, is that it gives researchers a chance to study how the poor lived in England more than 700 years ago. Stuart Wilson says people thought he was crazy when he gambled $39,000—his life savings—on a 4.6-acre field in Wales. 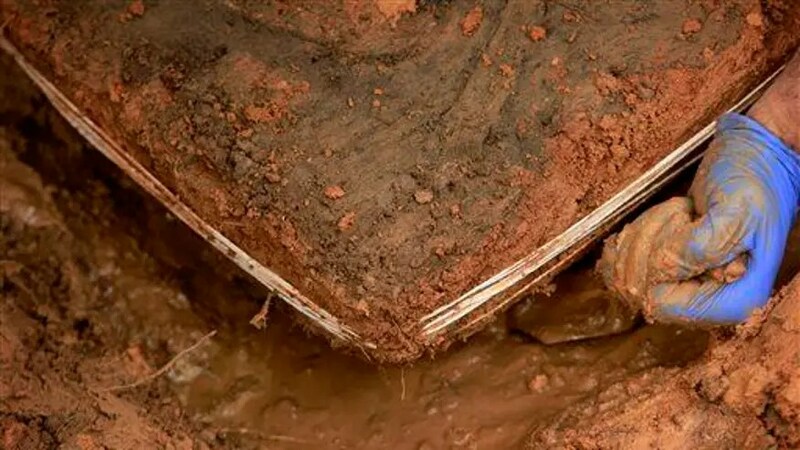 Having heard a farmer’s story about moles digging up bits of pottery on the land, the amateur archaeologist tells the Guardian he had a hunch that something important lay beneath, and when the parcel went on the market in 2004, he bought it. Now, it looks like his bet is paying off: He believes his land is sitting atop the lost city of Trellech—Wales’ largest city in the 13th century, reports the BBC—and the Guardian reports his theory is starting to gain traction. Wilson, a former toll collector who got his undergrad degree in archaeology, estimates the project has cost more than $200,000, funded in part through donations (you can be an archaeologist for a day for $61). 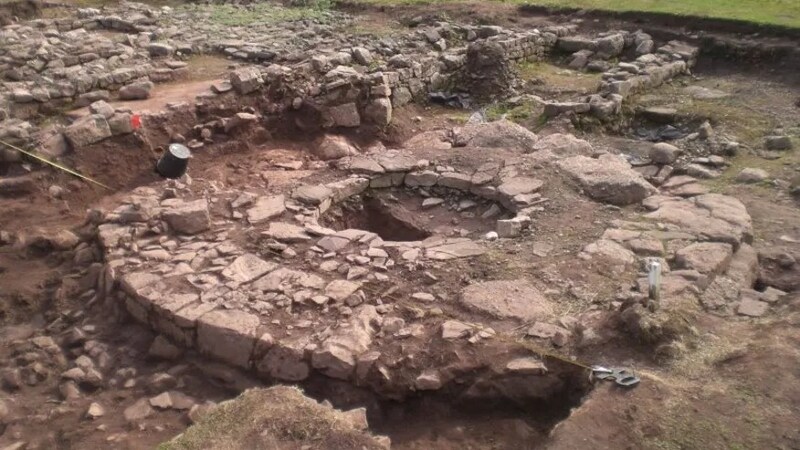 With help from some 1,000 volunteers, Wilson says he has so far discovered eight buildings, and he intends to spend 2017 working on the remains of what he believes is a manor house surrounded by a moat. In 2006, he told Archaeology.org that excavating the field “will probably take about 50 years, so basically the rest of my life.” As for the history of the site, it was founded by the de Clare family in the 1200s as a hub that produced iron weapons and armor, and its population exploded. Per Wilson, in just 25 years it grew to 10,000 people—a quarter of London’s size, though Wilson points out it took London 250 years to amass its 40,000 people. How do you keep a demon from disturbing the living? A blade to the throat should do the trick. 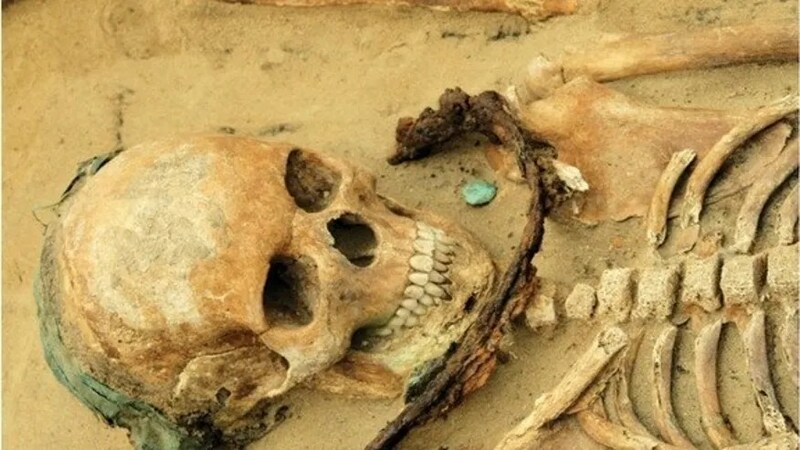 A few skeletons unearthed in a 400-year-old Polish cemetery have been discovered with sickles placed around their necks. Archaeologists believe this strange burial practice is evidence of a belief in magic and a fear of demons. The sickle burials were found at Drawsko cemetery, a site in northeastern Poland that dates from the 17th to the 18th centuries. Archaeologists, including Marek Polcyn, a visiting scholar at Lakehead University in Canada, have excavated more than 250 graves there since 2008. Instead, the archaeologists prefer to use the blanket term “anti-demonic” to talk about these burials, partly because vampires weren’t the only kinds of evil incarnations of the dead, according to traditional folk beliefs in the region. But also, the sickle graves were afforded funerary privileges that weren’t usually extended to “vampires” buried elsewhere: They were given Christian burials in sacred ground alongside other members of the community, and their corpses do not appear to have been desecrated or mutilated. Even though Christianity was the dominant religion in Poland at the time this cemetery was used, traditions from old Slavic pagan faith and folk belief systems still existed, including a belief in demons. Besides the sickles, there is not much that makes these graves unique, so the scientists aren’t sure exactly what about these people made them demonic. They may have been thought to have supernatural powers in life, or they might have had physical characteristics considered suspicious (which might have included “an exceptionally hairy body,” a unibrow, a large head and a red complexion, the authors said, citing traditional Polish folklore). These people also might have died in a traumatic fashion, without any time for the appropriate rites and rituals to make for a smooth spiritual transition into death — a concept some archaeologists call a “bad death.” While some of the people buried with sickles may have simply died of old age, one of them, a girl, died as a teenager. The authors speculated that she might have met a violent and untimely end, perhaps through drowning, suicide or murder. Unfortunately for archaeologists, however, this death didn’t leave its mark on the girl’s bones. Polcyn and Gajda wrote that they hope further scientific tests on the corpses, such as biomolecular analyses, will help them understand more specifically what led the dead in Drawsko to be buried with sickles. 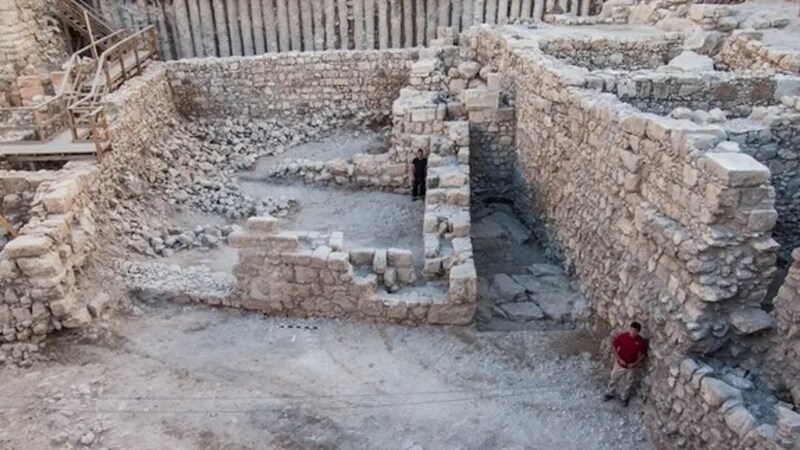 Archaeologists digging for ruins ahead of a new construction project in Jerusalem made an incredible discovery—that immediately began to vanish. During the last hours of a “salvage excavation” two months ago, the Israel Antiquities Authority stumbled upon a 2,000-year-old ritual bath when a stone suddenly disappeared into a black hole, reports Haaretz. That hole turned out to be the remains of the bath, accessible by a stone staircase, which includes an anteroom with benches and a winepress. Carved into a natural stone cave, the bath itself wasn’t so unusual, but the graffiti that covered the plaster walls was. 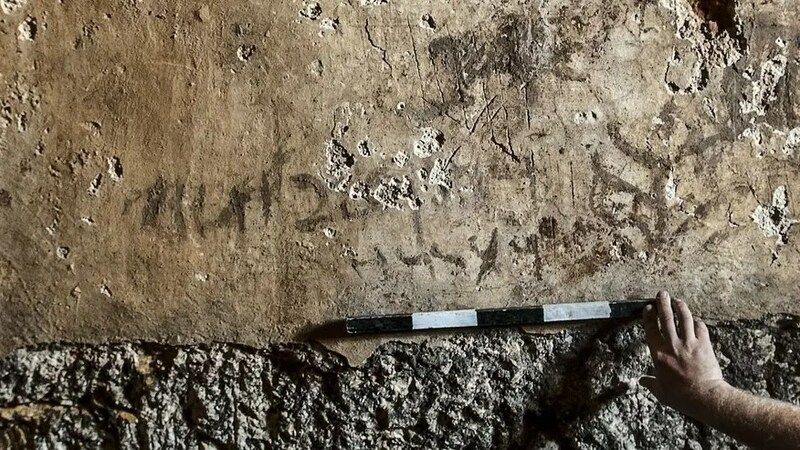 Archaeologists were therefore horrified to find the Aramaic inscriptions and paintings in mud and soot, dating to the Second Temple era from 530BC to 70AD, per Discovery News, disappearing within hours of their discovery. “The wall paintings are so sensitive that their exposure to the air causes damage to them,” the IAA says, per Ynetnews. Crews quickly removed and sealed the plaster so the graffiti, along with a few carvings, can be preserved. Archaeologists say the Aramaic inscriptions are particularly special as few such writings have been found, though the script is hardly legible now. They guess at a few words, including what translates to “served” and the name “Cohen.” Still, the inscriptions back up the argument that Aramaic was commonly used at the time and perhaps even the language of Jesus. An investigation into what appears to be a nearly 2 million-year-old site in China’s Hebei province suggests the spot served an important purpose: fun. 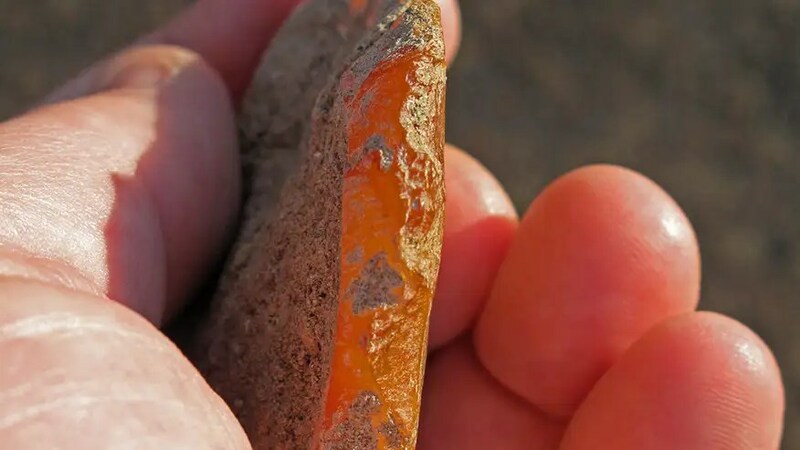 The South China Morning Post compares the dig site to a “playground” for ancient hominids, noting that it was home to some 700 stone objects and 20,000 fragments; some may well have been kids’ toys, believes lead researcher Wei Qi. He speculates that the objects, most less than two inches long, were made by children and their mothers. “You can almost feel the maker’s love and passion,” says Wei of one piece he describes as “beautifully shaped.” The other bits of evidence supporting his playground theory: The remains of animals or large tools in the area are scarce, suggesting it’s not where hominids lived and a limited number of adults toiled there. The site is part of the Nihewan basin, which has been the source of a vast trove of ancient discoveries since 1921, Ancient Origins reports. What’s also relatively new is the dating of the site, carried out by studying its magnetic properties. Results suggesting it dates to between 1.77 million and 1.95 million years ago could make it older than the Dmanisi site in Georgia, which UNESCO calls the “most ancient” in Eurasia. But outside researchers have their doubts about the playground theory: “It is difficult to rule out the possibility that (the objects) were just stone fragments created by natural forces,” says one. If the discoveries really were made by hominids more than 1.8 million years ago—when the first hominid is though to have left Africa—it could change the story of human origins, the Week notes.